For me personally, 2011 was a pretty good year. I seemed to see a lot of friends through social media express desires for last year to basically go to hell, but I have no big gripes about it. I think that 2011 was a year of finding balance between family and church. It was a year where I started seeing both a spiritual director and a counselor, where I was challenged to think outside my usual well-worn paths on several fronts for the better. It was a year where the fruits of a longer pastorate began to ripen with promises of more to come. It was a year where Coffeewife finally graduated, Coffeeson was finally potty-trained, and I finally made a decision on more formal schooling myself. It was the year The Rock returned, Michigan football became relevant again, and Five Iron Frenzy reunited. 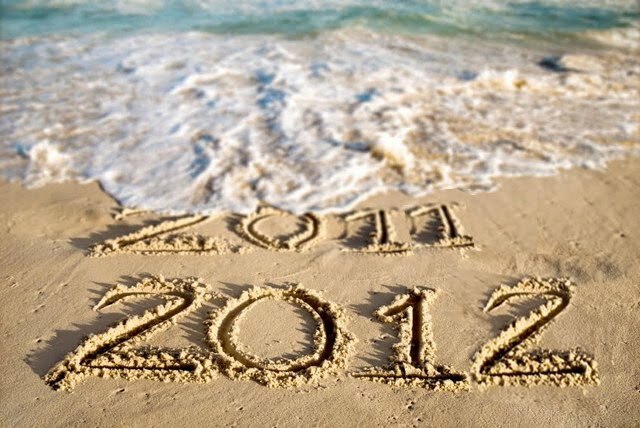 I can only give thanks for 2011 and all that it included. Not everyone experienced it as such, but I'll remember it as being a positive one rich with celebrations and learning. So, onto 2012. I don't know if anybody out there cares about a post like this that includes resolutions. I know I barely do. But nevertheless, there are a couple things I'd like to do this year. 1. Make some phone calls. I'm long overdue to talk to some old friends. This needs to happen. 2. Make a dentist's appointment. I'm long overdue for that, too. I get the feeling that it's not going to be pleasant. 3. Keep exercising. I started a "Couch to 5K" thing late last year, but my knee voiced some displeasure with it after a while so I've had to put it on hold. Guess it's back to the not-as-grinding elliptical machine for me. 4. Prepare a book to be self-published. No, seriously. It's time. It's over time. This should finally happen. See? Nothing too ground-breaking or monumental or overly ambitious. I thought about writing some deeper reflective flourishing prose of some kind, but I really don't feel like it. So this is what you get the Monday after New Year's weekend. The blog will be here, too. I think about quitting, but it keeps pulling me back. Apparently I still have something to say. Happy New Year, if that's your thing.